The Aquascape 8”x10” EPDM Boxed Pond Liner is fish safe and none harmful to the environment. The product ensures that the base of the pond or other water feature is well sealed, assuring no water will leak. 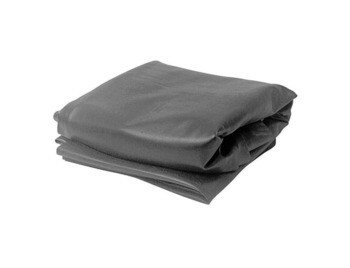 The Aquascape 8”x10” EPDM Boxed Pond Liner weighs 24lbs. The Aquascape 15”x20” EPDM Boxed Pond Liner is fish safe and none harmful to the environment. The product ensures that the base of the pond or other water feature is well sealed, assuring no water will leak. The Aquascape 15”x20” EPDM Boxed Pond Liner weighs 87lbs. The Aquascape 20”x25” EPDM Boxed Pond Liner is fish safe and none harmful to the environment. The product ensures that the base of the pond or other water feature is well sealed, assuring no water will leak. The Aquascape 20”x25” EPDM Boxed Pond Liner weighs 145lbs. The Aquascape 12”x15” EPDM Boxed Pond Liner is fish safe and none harmful to the environment. The product ensures that the base of the pond or other water feature is well sealed, assuring no water will leak. The Aquascape 12”x15” EPDM Boxed Pond Liner weighs 52lbs. The Aquascape 15”x15” EPDM Boxed Pond Liner is fish safe and none harmful to the environment. The product ensures that the base of the pond or other water feature is well sealed, assuring no water will leak. The Aquascape 15”x15” EPDM Boxed Pond Liner weighs 65lbs. The 10”x30” EPDM Boxed Pond Liner is a boxed waterfall liner. (Note: When adding a stream to a water feature design, additional pipe lengths and coupling may be required). The product comes in a box for convenience to the customer. Who is this 10”x30” EPSM Boxed Pond Liner for? The Aquascape 10”x12” EPDM Boxed Pond Liner is fish safe and none harmful to the environment. The product ensures that the base of the pond or other water feature is well sealed, assuring no water will leak. The 10”x12” EPDM Boxed Pond Liner weighs 35lbs. Who is the Aquascape 10”x12” EPDM Boxed Pond Liner for? The 10”x10” EPDM Boxed pond Liner is a boxed waterfall liner. (Note: When adding a stream to a water feature design, additional pipe lengths and coupling may be required). 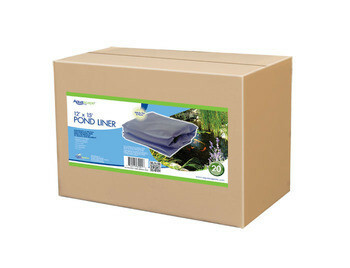 The 10”x10” EPDM Pond Liner comes in a box for convenience to the customer. Who is the 10”x10” EPDM Boxed Pond Liner for? The 10”x20” EPDM Boxed Pond Liner is a boxed waterfall liner. (Note: When adding a stream to a water feature design, additional pipe lengths and coupling may be required). The 10”x20” EPDM Pond Liner comes in a box for convenience to the customer. Who is this 10”x20” EPDM Boxed Pond Liner for?